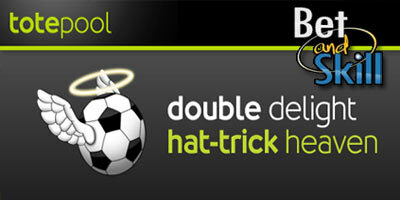 Double Delight and Hat-Trick Heaven are typical promotions you can find at Totesport. They are very simple to understand: if your player scores the first goal of the match and goes on to score another, Totesport will double your first goalscorer price. 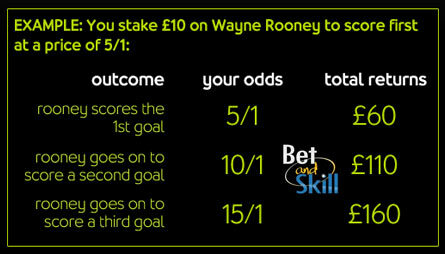 If they go to score a hat-trick, Totesport will treble it! Offer available by phone, online and text betting only. Totesport reserves the right to withdraw this offer at any time. "Totesport's Double Delight and Hat Trick Heaven betting promotions explained"